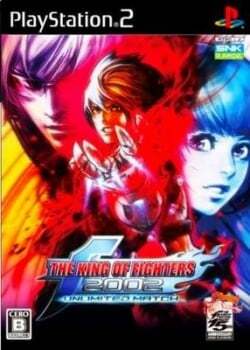 Game description: The King of Fighters 2002: Unlimited Match is a remake of The King of Fighters 2002 made by SNK Playmore. It features new teams, a new visual layout, new game balancing, new desperation moves and spliced artwork during super attacks. Several teams have a different theme from their previous appearances, and many teams have brand new compositions written for them. Like in The King of Fighters '98 Ultimate Match, this game also includes a Neo Geo adaption of the original version and a gallery of the older illustrations made by Nona, but only on PS2 version. Works perfectly from beginning to end, light system requirements. This page was last edited on 3 September 2017, at 21:45.